Thank you for submitting an appointment request. One of our front office person will be in contact with you shorty. WHY CHOOSE A KID'S DENTIST? Pediatric dentists are specially trained to understand the different needs as our patients mature, both physically and emotionally, from infants to young adults. Because our office is geared toward young visitors, you'll find that our staff, as well as our office design, decorations, and activities all work together to provide a comfortable environment for kid's. Your Kid's Dentist in Orland Park! Has your child ever begged you not to leave the dentist? Impossible you say? Not at our office. It could be our gentle touch and special way with kids. Our pediatric specialists and staff love children and are specially trained to put them at ease. At Chicago kiDDS Pediatric Dentistry, we teach your children the proper way to take care of their teeth and just as important, they learn that going to the dentist can be fun. To ensure your child grows up with a healthy smile, we offer comprehensive dental care that ranges from regular checkups, sealants, and tooth-colored fillings to advanced pediatric dental procedures. We are happy to welcome parents in the treatment room, with an open-door policy. Our office encourages children to experience dentistry in a fun, exciting environment, while parents can be sure their children are treated with the most state-of-the-art techniques, materials, and technologies. 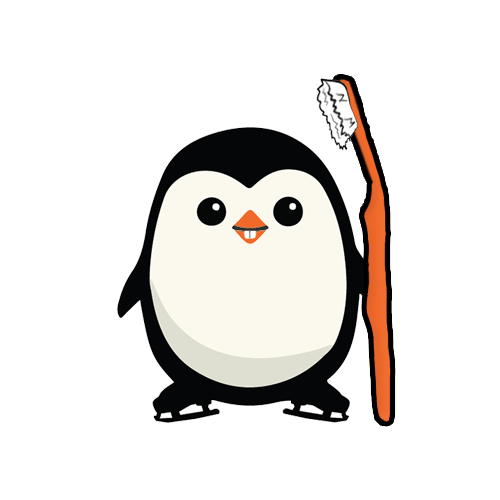 Start your child on the path to a lifetime of oral health and wellness. Schedule an appointment at our amazing pediatric dental office in Palos Heights, IL today! Always an Awesome Experience, everyone from the staff to the doctor is fantastic! I just started bringing my children to see Dr. Neal. He is a great doctor that went into detail with me about both my children’s exam. The way he interacts with the kids is phenomenal. He made it a great first experience at his office, where my children now no longer dread going to get their teeth cleaned. Always a great experience for my kids! We LOVE Dr. Chris! He is the best!!!! this place is great, my son loves coming here! Fantastic visit with my kids. Dr. Neal is great with them, i would highly recommend!!! Just had a fantastic visit with my 2 year old. These guys are great!!! Amazing Dentist!!!! Took my kids to my dentist, and it was an awful experience. We looked for a pediatric dentist and we are so happy that we did. Dr. Neal and his team were so awesome with the kids. They were all happy when they left. How many people go to the dentist and are happy when they leave?!! Job well done! I would recommend this office to anyone with children! In the past I have had terrible luck with pediatric dentists. Dr. Neal was FANTASTIC with my children. He was able to comfort them and make our time there amazing! I will now only bring my children to see him. It has been so hard to find a good pediatric dentist, so when we found Dr. Christopher Neal it was quite a relief. Him and his staff are so caring. I am very happy with their service and would highly recommend! My son had a dental emergency, and was in severe pain to say the least. Luckily, I found Dr. Neal! He took great care of my son and for that I am thankful. This office and Dr. Neal are wonderful along with the rest of the staff. Dr. Neal was FANTASTIC with my two girls! We had a terrible experience with another local pediatric dentist, and he was able to comfort them and put them at ease. I would highly recommend his office! This office was an absolute blessing to find after we went to numerous "family dentists" that couldn't help my fearful daughter. During my visit, I needed to take my daughter to get some dental work done. I was so relieved to find Dr. Neal! I was referred to him by many people. He was gentle and caring with my daughter who doesn't take dentists lightly. Thanks for helping her and getting her to be more brave! Awesome place. My daughter loves to go to the dentist because of the special care, games on the wall and the service. Really great place. It's hard to find a good pediatric dentist so we are so relieved to find Dr. Neal. Him and his staff are so caring and gentle. Very happy with their service and would highly recommend Dr. Neal and this office. My kids LOVE this place. The staff was so kind! Everyone from checking in to the doctors was top notch!!! My husband and I are absolutely relieved to find a pediatric dental clinic where my daughter feel comfortable going to. Dr. Neal took great care of my 8 year old daughter during her last visit. Her teeth are in tip top shape and she actually likes going to the dentist now! The staff here is excellent and the waiting room is clean and kid-friendly. In fact, it's also fun. There are two game stations that kids can play on so they don't get bored while waiting. Overall, I highly recommend this place! Your kids will thank you for taking them here! I was in town with some family and my niece had a dental emergency. Thankfully, I found Dr. Christopher Neal! He took care of my niece like she was family and for that I am grateful! This office and Dr. Neal are great along with being very nice and welcoming. I would highly recommend Dr. Neal to anyone looking for a great pediatric dentist. I was given multiple referrals to Dr. Neal. This is a dental practice that is really child centered. I was very nervous about choosing a dentist for my child, as I myself had negative experiences as a kid. I found I had nothing to be nervous about! My son adores going to Doctor Chris. This place is made for kids. There is no detail left unattended to. Your children will love going to the dentist. You will be impressed, I guarantee it! I brought my 3 year old for her first dentist appt today, and I could not have been more impressed. First of all, the office was immaculate, and is very kid friendly and fun. Before the appt started, the hygenist explained in detail what they would do during the visit. The staff was VERY gentle with my daughter. Both in their bedside manner and their touch. They cleaned and flossed my daughters teeth very quickly. She didn't have one complaint! Dr. Neal is very personable and professional. He handles everything very efficiently and is always willing to answer any questions or concerns. Thank you so much Chicago Kidds!!!! My daughter and I love you!!! And a HUGE thank you to Dr. Neal for being such a kind, good natured, and easy to talk to doctor. I have been there multiple times and each time all the doctors, hygienists, and coworkers have been so warm and welcoming to my family. Could not ask for better service. I would recommend this practice to any family. The staff is super nice and professional. Dr Chris is awesome with the kids. The atmosphere is fun for the kids instead of scary which makes it a fun trip. My kids were happy after they left. Thanks! This was my daughters first experience with a dentist at age one and she loved it. She couldn't wait to go back. The staff and office are great and the dentist is very detailed with his visits. It is now her second visit and she loves coming here. I would highly recommend them! Chicago Kidds Pediatric Dentistry is an amazing place to bring your child. They are fast, efficient and have the most amazing attitudes.. Best Dentist and staff I've met so far. Dr. Neal Is simply the best dentist my kids have ever had! The best customer service around and his staff are equally friendly and helpful! He is so attentive and wont do unnecessary procedures. I feel he is very honest and I feel so comfortable taking my kids to him. My kids LOVE going to see him! I took my 4 yr old and 2 yr old in for their first dental appointment this week and I couldn't have asked for a better first visit! I expected both my kids to cry and be upset but they had the complete opposite reaction. They loved the office. Dr. Neal and his staff are so friendly, knowledgeable, and are excellent with children. The office is the cleanest office I have ever visited and perfectly decorated for children. It's bright, fun, and has iPads for the kids to play with. I recommend Chicago Kidds Pediatric Dentistry to anyone with children.I took my 4 yr old and 2 yr old in for their first dental appointment this week and I couldn't have asked for a better first visit! I expected both my kids to cry and be upset but they had the complete opposite reaction. They loved the office. Dr. Neal and his staff are so friendly, knowledgeable, and are excellent with children. The office is the cleanest office I have ever visited and perfectly decorated for children. It's bright, fun, and has iPads for the kids to play with. I recommend Chicago Kidds Pediatric Dentistry to anyone with children. We went for the first time today and loved it! Everyone was very friendly and patient. We didn't feel rushed like we have at other offices. They were very patient with my very scared 4 year old. Very happy with our choice and will highly recommend them to anyone! I took my 8 month old in to the office and we were in heaven. No tears visit! The hygienist was so sweet and explained everything to my daughter. Our previous dentist was not so gentle and had done a few things that upset my daughter and made her resistant to cleaning x rays etc. Today she got X-rays and a cleaning with no issues at all. The hygienist was patient and did not rush her at all. The doctor was wonderful. My daughter loved him and his easy going, friendly personality. Office is inviting and makes kids feel comfortable and safe. Love it!! I took my 8 month old in to the office and we were in heaven. No tears visit! The hygienist was so sweet and explained everything to my daughter. Our previous dentist was not so gentle and had done a few things that upset my daughter and made her resistant to cleaning x rays etc. Today she got X-rays and a cleaning with no issues at all. The hygienist was patient and did not rush her at all. The doctor was wonderful. My daughter loved him and his easy going, friendly personality. Office is inviting and makes kids feel comfortable and safe. Love it!!! My daughter's first dentist visit and she loved it! So did I. The offices are inviting, clean, cheerful, and bright.. also a reflection of all the staff we encountered and their delightful service. Thanks for making it a great visit and setting up my daughter for a healthy view of what great service is! I cannot believe how lucky we were to have found this office. Our 8 year old is VERY anxious about certain things. Dental work is one of them. Dr. Neal is gentle, takes his time with his patients (as well as nervous parents) and explains everything he is doing. I cannot recommend this place enough! I heard great things on a parent group about this place, and it definitely lived up to the expectations. I'm so glad we decided to take our 3 year old here, and will continue to do so. The environment was friendly, welcoming, professional, and they really know how to help kids through the visit. My daughter was nervous and by the time we left, she was happy to have gone to the dentist. Amazing! My daughter had such a fun time! They really care about their patients! They go above and beyond! My daughter was a fuss monkey!!! So they kept giving her toys to entertain her! Nothing but good vibes from every staff member there! This dentist office is incredible!! From Start to finish I was pleased with every step. The lady at the front desk was very helpful and quick to get us signed in. The hygienist was so sweet. She talked to my daughter, asked questions and sounded like she genuinely cared. The dentist was great. He pointed out problem areas and made sure to explain each step of what he was doing to my daughter and myself. When I told my husband about our dental experience he wanted to make this his dentist! We are both very jealous that this is a pediatric dentist and not for us. I would recommend Chicago Kidds Pediatric Dentistry to anyone!!! Oh, and the office... its a kids dream! Ipads, books, and movies to watch!! LOVE LOVE LOVE this dentist! This dentist office is incredible!! From Start to finish I was pleased with every step. The lady at the front desk was very helpful and quick to get us signed in. The hygienist was so sweet. She talked to my daughter, asked questions and sounded like she genuinely cared. The dentist was great. He pointed out problem areas and made sure to explain each step of what he was doing to my daughter and myself. When I told my husband about our dental experience he wanted to make this his dentist! We are both very jealous that this is a pediatric dentist and not for us. I would recommend Chicago Kidds Pediatric Dentistry to anyone!!! Oh, and the office... its a kids dream! Ipads, books, and movies to watch!! LOVE LOVE LOVE this dentist! !